When interviewed, many lottery players claim that in the unlikely event that they win a jackpot, they will donate a part of the money to the less fortunate. Few players stand by their word when they actually win and in the overwhelming majority of cases, they only give away an insignificant percentage. 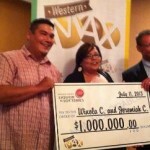 That’s what makes the gesture of a recent Calgary $40 million Lotto Max jackpot winner special, as he chose to donate the entire amount to charity. Even though most find it incomprehensible for someone to donate the entire jackpot without keeping a dime for himself, for Tom Crist this generous act came naturally. He told the reporters that he knew from the very beginning that he won’t spend a dollar of this newfound fortune and instead donate the winnings to a family foundation. 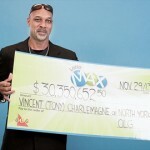 The fact that he started that foundation two years ago doesn’t change the fact that the winner won’t actually benefit from the $40 million Lotto Max jackpot, at least not directly. Whenever someone goes out of his way to do the right thing, especially when he does so instead of pursuing what seems like his own interest, people wonder what his reasons might be. Tom lost his wife to cancer two years ago and he knows all too well how painful it can be to lose a fight with this incurable disease. This is what prompted him to start the family foundation in the first place and he says that the charity needs the money much more than he does. Crist says that he has enough cash to enjoy a peaceful retirement and his kids are also set up, so the $40 million Lotto Max jackpot wouldn’t make a difference. 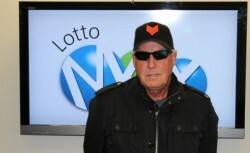 There is no doubt that by donating the $40 million Lotto Max jackpot in its entirety, Tom Crist gives an amazing personal example for other winners to follow. It is also certain that this is the largest amount ever donated by a Calgary resident, because nobody before Tom won so much money in the local lottery. For him, knowing that the money is put to good use by the family foundation he started is more important than splashing out or using the money for selfish purposes. 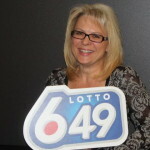 Lottery officials were every bit as surprised as the general audience to hear that the $40 million Lotto Max jackpot was donated by the lucky winner. Never before, someone chose to donate his entire winnings and by personal example, Tom set the bar extremely high for anyone willing to replicate his deeds. While most people find it irrational or downright silly to donate $40 million, everyone has the same tremendous respect for this act of incredible generosity. 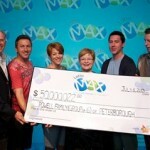 Lotto Max Jackpot Crowned a Ritchie Couple Winners of a Whopping $30 Million!